With the strong capability of research and development, Samsung cell phone has become a powerful opponent to iPhone neck and neck. Especially, Samsung Galaxy series including Samsung Galaxy S2/S3/S4/S5 and Galaxy Note 2/3/4 have quickly occupied the Android smart phone market year by year. It makes people's daily life more convenient and colorful for its excellent functions of photography, video, music and apps, etc. In a word, a growing number of people prefer to choose Samsung cell phone than other smart phone these days. In addition to the basic functions such as making phone calls and sending messages, due to the high resolution of the front camera, users are really keen to make selfies with their Samsung cell phone. And they also like to record videos owing to that advantage. Moreover, some of them would like to download a lot of movies on their Samsung so that they can watch them no matter where they are. Let alone the apps and other files. But here comes the question, with so many files stored in one single Samsung cell phone, it has no more space for users to save other things. And most important of all, it will slow down the operation of the cell phone. At this moment, you'll want to release some space or clear some data. But I don't recommend you to delete them all for some of them are still useful and you might need them one day. So the best way is to transfer the files to your computer to back them up in case that you could use them again. How to make the transferring? That's when you need transfer software. As there is a bunch of tools on the Internet, it can be a little tricky for you to get the best. So I'm here to do you a favor to find the most useful one by comparing them. It's the professional MobiKin Samsung Files Transfer or Samsung Files Transfer for Mac. This program will let you export and import data from Samsung Galaxy Note or S series to desktop computer or from computer to Samsung device including contacts, apps, videos, photos, music and book, etc. That means you can view, add/delete or edit them on the computer without any limitation. Apart from Samsung cell phone, any other Android OS cell phone can also be compatible with this power software. Now you can download the free trial version of the Samsung Files Assistant software for Windows or Mac respectively. Later I will show you the specific steps in next passages. 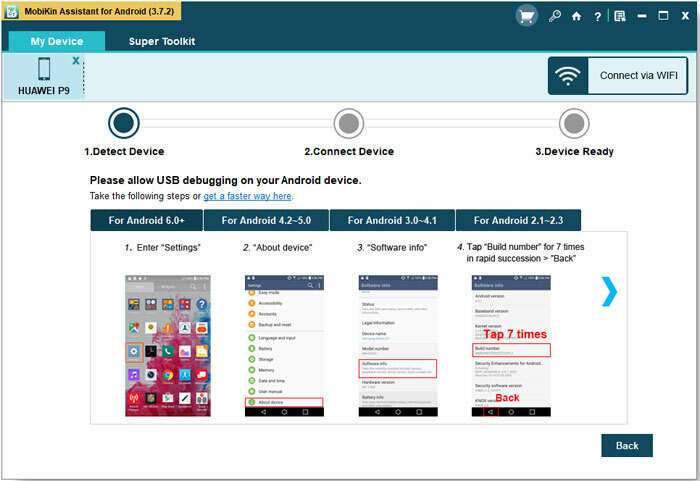 First, connect your Samsung Galaxy cell phone to the computer with USB cable. Then launch the transfer program. Your cell phone can be recognized by this program automatically. The primary parameter of your phone like the model, system version, power and storage will be displayed in the main interface which means you can start transfer your files now. Click "USB debugging opened " and "Next" to go on to install the USB driver. When you finish installing the USB driver, you can start transferring the files between Samsung device and computer. Second, click the "Files" icon from the top of the menu, then, you will see the information on the right panel. Mark what you like to copy from you Samsung Galaxy cell phone to computer or import from the computer to phone. 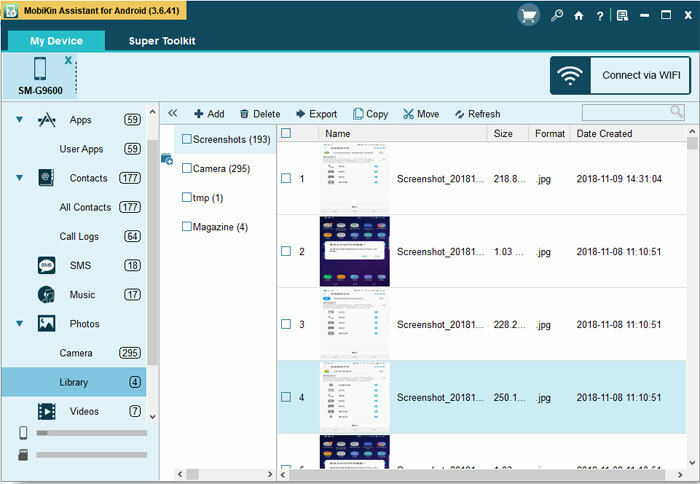 You can also manage other data like media files such as "Photo" and "Video". It's all up to you. Great! You have understood the steps to copy or sync your files between Samsung Galaxy series cell phone and computer completely. 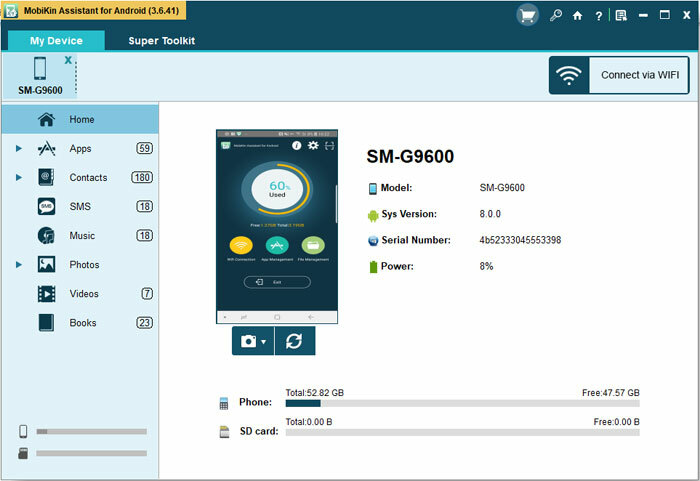 Now you can download the software to transfer files from Samsung to computer or from PC to Samsung to have a good management of you data. If you a Mac user, you can turn to the Mac version.